One of those actors is Anthony Daniels, who has played C-3PO across the Skywalker Saga since Episode IV came out in 1977. He shared a beautiful post after wrapping his role in Episode IX … and then proceeded to tease fans with an announcement of some kind. Huh? Fans were confused and — in some cases — irritated. Others really read into that T-R-A-V tease. 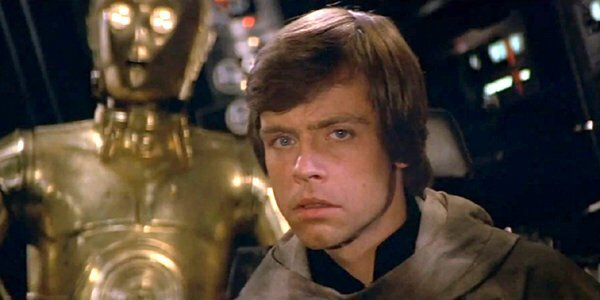 Some thought it might just be a longwinded way for the actor to say he’d be traveling to Star Wars Celebration 2019, which is being held April 11-15 in Chicago. That is the current major guess for when fans will get things like the first official trailer. That Kleo fan replied to Travelocity’s Ernest by thanking him for reaching out and politely asking if he could reveal the title of Star Wars: Episode IX. “Thanks in advance!” Classic. The Star Wars fandom didn’t get a trailer during Super Bowl, and the fans who do want more information will take just about anything. Some fans don’t think Star Wars: Episode IX needs a big trailer to promote the film. And other (former?) fans are so frustrated with the Stars Wars galaxy at this point that they only care enough to complain about it. Eventually, Star Wars: Episode IX will reveal its full title — following The Force Awakens and The Last Jedi, in this trilogy — and the movie will open in theaters on December 20. Here’s what else is scheduled to play in theaters in 2019.